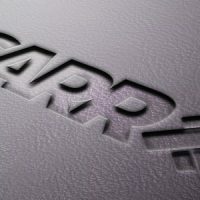 For over 25 years Carr has been the key supplier to manufacturers of stationery products. We have taken the time to listen and know our tried and tested range of unsupported sheet and foamed PVC, ring mechanisims, fittings and accessories, meet the demands of our customers. We stock an extensive range of unsupported PVC sheet in opaque and clear grades. We also offer specialty foamed PVC for premium folders and wallets. An extensive range of unsupported PVC sheet in opaque, clear and foamed grades. Weldable PVC Foam Sheet for a range of industries: automotive, stationery, decoration, healthcare, leisure, packaging. Our Mousemat PVC is available at a thickness of 1.4mm and has a white surface with a grey base. This foamed PVC product is ideally paired with our ‘Easyweld’, with excellent clarity and feel and as the name suggests is easy to weld! Our extensive range of fittings and components used in the manufacture of finished stationery products is one of the most extensive in Australasia. If you are after a ring mechanism we can supply. The ring mechanisms we stock are available in various lengths, capacities and ring designs. For an unusual mechanism that is not normally a stock item, we are happy to source this for you. We carry stocks of both HALF ARCH and FULL LEVER ARCH mechanisms and the compatible SLIDE-IN-PLATES available for those people wanting to rivet them on using their normal riveting machine. These have a 4.2mm hole size. We stock a range of box file, computer, clipboard and plastic file binding fittings. 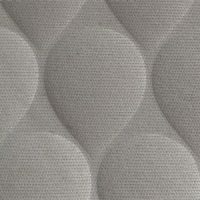 HF weldable flexible foam sheet for use in embossing, padding and as a joining medium. High Frequency (or Radio Frequency) weldable foam is foamed PVC sheeting in roll form. It is formulated to flow extremely easily under HF so provides an extremely efficient solution for bonding products when using HF welding technology. Foamed vinyl only collapses in the welded area so the remainder provides loft making it ideal for heat embossing. 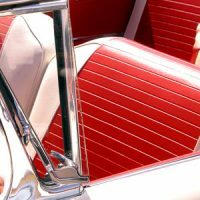 Using a “stitch” pattern embossed electrode you can achieve a fully waterproof stitched appearance making it ideal for outdoor or marine upholstery fabrication. It provides a simple solution when joining fabrics using HF welding technology. Perfect as the bonding medium for applique work. Stationery items needing customising or upgrading can benefit from the inclusion of a PVC foam substrate for cushioning. 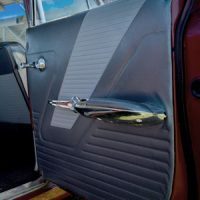 Weld fabrics to a dielectric coated substrate using the weldable foam as the bonding medium such as for flat panel door lining in commercial vehicles or when restoring older cars. We offer a range of speciality stationery components. Hinge rings are available in a range of sizes. Interscrews, also commonly referred to as “Chicago Screws” are available in a range of sizes starting as small as 3.5mm long up to 60mm in length (sold in multiples of 100 pieces). Extensions are also available if you require a larger size. Interscrews are available in nickel or brass plating. Our Self Piercing Rivets are available in Nickel Finish and come in bags of 10,000. 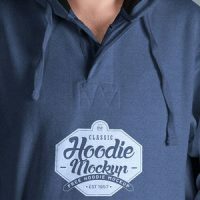 Other finishes and sizes available on request, subject to minimum order quantities. Metal corners are available in a range of styles in sizes. Colours available from stock include gold, nickel and black.